1In the Nordeste region of Brazil, the word 'inverno' (winter) is used to refer to the rainy season, February-June. Agrawala, S. andBroad, K.: 2002, 'Technology transfer perspective on climate forecast applications', in De Laet, M. (ed. ), Research in Science and Technology Studies: Knowledge and Technology Transfer, vol. 13, Knowledge & Societies Series, pp. 45-69. Allan, R. J.: 2000, 'ENSO and climatic variability in the last 150 years', in Diaz, H. F. and Markgraf, V. (eds. ), El Niño and the Southern Oscillation: Multiscale Variability and Its Impacts on Natural Ecosystems and Society, Cambridge University Press, Cambridge, UK, pp. 3-55. Antony, G., Everingham, Y. L., and Smith, M.: 2002, 'The financial benefits of using climate forecasting - A case study', in Proceedings from the Australian Society for Sugar Cane Technologies, Cairns, Australia 24, 153-159. Agrawala, S., Broad, K., and Guston, D. H.: 2001, 'Integrating climate forecasts and societal decision making: Challenges to an emergent boundary organization', Science, Technology and Human Values 26, 454-477. Basher, R.: 2000, 'The goals of the forum', in Proceedings of the International Forum on Climate Prediction, Agriculture and Development, IRI-CW/00/1, International Research Institute for Climate Prediction, Palisades, New York, USA, pp. 1-2. Brennan, L., Carberry, P., and Hochman, Z.: 2000, 'Can agribusiness utilise better information on climate variability?' in Proceedings of the Australian Agri-Food Congress 2000 Research Forum. Broad, K. and Agrawala, S.: 2000, 'The Ethiopian food crisis - Uses and limits of climate forecasts', Science 289, 1693-1694. Buizer, J. L., Foster, J., and Lund, D.: 2000, 'Global impacts and regional actions: preparing for the 1997-1998 El Nino', Bull. Am. Meteorol. Soc. 81, 2121-2139. Byerlee, D. and Anderson, J. R.: 1982, 'Risk, utility and the value of information in farmer decision making', Rev. Market. Agric. Econ. 50, 231-247. Carberry, P., Hammer, G. L., Meinke, H., and Bange, M.: 2000, 'The potential value of seasonal climate forecasting in managing cropping systems', in Hammer, G. L., Nicholls, N., Mitchell, C., (eds. ), Applications of Seasonal Climate Forecasting in Agriculture and Natural Ecosystems: The Australian Experience, Kluwer Academic Publishers, Dordrecht, The Netherlands, pp. 167-181. Carter, J. O., Hall, W. B., Brook, K. D., McKeon, G. M., Day, K. A., and Paull, C. J.: 2000, 'Aussie Grass: Australian rangeland and grassland assessment by spatial simulations', in Hammer, G. L., Nicholls, N., Mitchell C. (eds. ), Applications of Seasonal Climate Forecasting in Agriculture and Natural Ecosystems: The Australian Experience. Kluwer Academic Publishers, Dordrecht, The Netherlands, pp. 329-349. CERED: 2000, 'The impact of El Nino and La Nina on Southeast Asia, in Kelly, M., Granicj, S. and Ninh, N. H. (eds. ), Workshop Report; Indochina Global Change Network Secretariat Office, Center for Environmental Research Education and Development, Hanoi, Vietnam. Chapman, S. C., Cooper, M., Hammer, G. L., and Butler, D. G.: 2000a, 'Genotype by environment interactions affecting grain sorghum. II. Frequencies of different seasonal patterns of drought stress are related to location effects on hybrid yields, Aust. J. Agric. Res. 51, 209-221. Chapman, S. C., Imray, R., and Hammer, G. L.: 2000b, 'Relationship between seasonal forecasts and grain prices', in Hammer, G. L., Nicholls, N. and Mitchell C. (eds. ), Applications of Seasonal Climate Forecasting in Agriculture and Natural Ecosystems: The Australian Experience, Kluwer Academic Publishers, Dordrecht, The Netherlands, pp. 367-380.
da Cunha, E.: 1995, Rebellion in the Backlands, University of Chicago Press, 751 pp. Davies, P.: 1990, God and the New Physics, Penguin Books, London, UK, 255 pp. Dilley, M.: 2000. 'Reducing vulnerability to climate variability in Southern Africa: The growing role of climate information', Climatic Change 45, 63-73. Elsner, J. B. and Schmertmann, C. P.: 1994, 'Assessing forecast skill through cross-validation', Weather Forecasting 9, 619-624. Everingham, Y. I, Muchow, R. C., Stone, R. C, Inman-Bamber, N. G, Singels, A., and Bezuidenhout, C. N.: 2002, 'Enhanced risk management and decision-making capability across the sugarcane industry value chain based on seasonal climate forecasts' Agric. Syst. 74, 459477. Folland, C. K., Colman, A. W., Rowell, D. P., and Davey, M. K.: 2000, 'Predictability of northeast Brazil rainfall and real-time forecast skill, 1987-1998', J. Climate 14, 1937-1958. Folland, C. K., Parker, D. E., Colman, A. W., and Washington, R.: 1998, 'Large scale modes of ocean surface temperature since the late nineteenth century', Climate Research Technical Note, CRTN81, Hadley Centre, Metrological Office, Bracknell, UK, 21 pp. Gadgil, S., Seshagiri Rao, P. R., and Narahari Rao, K.: 2002, 'Use of climate information for farm-level decision making for rainfed groundnut in southern India', Agric. Syst. 74, 431-457. 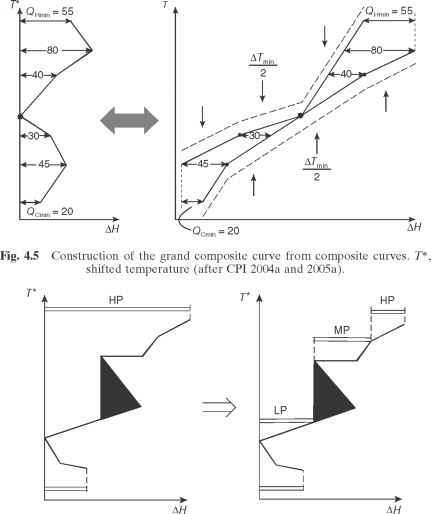 Ganopolski, A. and Rahmstorf, S.: 2002, 'Abrupt glacial climate changes due to stochastic resonance', Phys. Rev. Lett. 8803, 8501. Gell-Mann, M.: 1995, The Quark and the Jaguar - Adventures in the Simple and Complex, Abacus, London, UK, 392 pp. Glantz, M.: 1977, 'The value of a long-range weather forecast for the West African Sahel', Bull. Am. Meteor. Soc. 58, 150-158. Goddard, L., Mason, S. J., Zebiak, S. E., Ropelewski, C. F., Basher, R., and Cane, M. A.: 2001, 'Current Approaches to Seasonal to Interannual Climate Predictions', Int. J. Climatol. 21, 1111— 1152. Hammer, G. L., Hansen, J. W., Phillips, J. G., Mjelde, J. W., Hill, H., Love, A., and Potgi-eter, A.: 2001, 'Advances in application of climate prediction in agriculture', Agric. Syst. 70, 515-553. Hammer, G. L., Holzworth, D. P., and Stone, R.: 1996, 'The value of skill in seasonal climate forecasting to wheat crop management in a region with high climatic variability', Aust. J. Agric. Res. 47, 717-737. Hammer, G. L., Kropff, M. J., Sinclair, T. R., and Porter, J. R.: 2002, 'Future contributions of crop modelling - From heuristics and supporting decision making to understanding genetic regulation and aiding crop improvement', Eur. J. Agron. 18, 15-31. Hammer, G. L., Nicholls, N., and Mitchell, C. (eds. ): 2000, Applications of Seasonal Climate Forecasting in Agriculture and Natural Ecosystems: The Australian Experience, Kluwer Academic Publishers, Dordrecht, The Netherlands, 469 pp. Hammer, G. L., Woodruff, D. R., and Robinson, J. B.: 1987, 'Effects of climatic variability and possible climatic change on reliability of wheat cropping - A modelling approach', Agric. Forest Meteorol. 41, 123-142. Hammer, G. L.: 2000, 'A general systems approach to applying seasonal climate forecasting', in Hammer, G. L., Nicholls, N. and Mitchell, C. (eds. ), Applications of Seasonal Climate Forecasting in Agriculture and Natural Ecosystems: The Australian Experience, Kluwer Academic Publishers, Dordrecht, The Netherlands, pp. 51-66. Hansen, J.: 2002, 'Realizing the potential benefits of climate prediction to agriculture: Issues, approaches, challenges', Agric. Syst. 74, 309-330. Hayman, P. T.: 2001, Dancing in the rain. Farmers and agricultural scientists in a variable climate, PhD Thesis, University of Western Sydney, NSW, Australia, unpublished. Hill, S. J. H, Park, J., Mjelde, J. W., Rosenthal, W., Love, H. A., and Fuller, S. W.: 2000, 'Comparing the value of Southern Oscillation Index-based climate forecast methods for Canadian and US wheat producers', Agric. Forest Meteorol. 100, 261-272. Hoogenboom, G.: 2000, 'Contribution of agrometeorology to the simulation of crop production and its application', Agric. Forest Meteorol. 103, 137-157. Howden, S. M., McKeon, G. M, Meinke, H., Entel, M., and Flood, N.: 2001, 'Impacts of climate change and climate variability on the competitiveness of wheat and cattle production in Emerald, north-east Australia', Environ. Int. 27, 155-160. Howden, S. M., Meinke, H., Power, B., and McKeon, G. M.: 2003, 'Risk management of wheat in a non-stationary climate: Frost in Central Queensland', in Post, D. A. (ed. ), in Integrative Modelling of Biophysical, Social and Economic Systems for Resource Management Solutions. Proceedings of the International Congress on Modelling and Simulation, July 2003, Townsville, Australia, pp. 17-22. Howden, S. M., Reyenga, P. J., and Meinke, H.: 1999, 'Global change impacts on Australian wheat cropping', CSIRO Wildlife and Ecology Working Paper 99/04, Canberra, 121 pp. Hu, Q. and Feng, S.: 2001, 'Variations of teleconnections of ENSO and interannual variations in summer rainfall in the central United States', J. Climate 14, 2469-2480. IRI (International Research Institute for Climate Prediction): 2000, in Proceedings of the International Forum on Climate Prediction, Agriculture and Development, 26-28 April 2000, Palisades, New York, USA, 312 p.
Jagtap, S. S., Jones, J. W., Hildebrand, P., Letson, D., O'Brien, J. J, Podesta, G., Zazueta, F., and Zierden, D.: 2002, 'Responding to stakeholders' demands for climate information: From research to practical applications in Florida', Agric. Syst. 74, 415-430. Jones, J. W., Hansen, J. W., O'Brien, J. J. O., Podesta, G., and Zazueta, F.: 2000, 'Agricultural applications of climate predictions: Bridging the gap between research and its application in the SE USA', in IRI (eds. ), Proceedings of the International Forum on Climate Prediction, Agriculture and Development, 26-28 April 2000, Palisades, New York, USA, pp. 59-66. Jones, J. W., Tsuji, G. Y., Hoogenboom, G., Hunt, L. A., Thornton, P. K., Wilkens, P. W., Imamura, D. T., Bowen, W. T., and Singh U.: 1998, 'Decision support system for agrotechnology transfer', in Tsuji, G. Y., Hoogenboom, G. and Thornton, P. K. (eds. ), Understanding Options for Agricultural Production, Kluwer Academic Publishers, Dordrecht, The Netherlands, pp. 157-177. Kane, R. P.: 1997, 'Prediction of droughts in north-east Brazil: Role of ENSO and use of periodicities', Int. J. Climatol. 17, 655-665. Keating, B. A. and Meinke, H.: 1998, 'Assessing exceptional drought with a cropping systems simulator: A case study for grain production in north-east Australia', Agric. Syst. 57, 315-332. Keating, B. A., Carberry, P. S., Hammer, G. L., Probert, M. E., Robertson, M. J., Holzworth, D., Huth, N. I., Hargreaves, J. N. G., Meinke, H., Hochman, Z., McLean, G., Verburg, K., Snow, V., Dimes, J. P., Silburn, M., Wang, E., Brown, S., Bristow, K. L., Asseng, S., Chapman, S., McCown, R. L., Freebairn, D. M., and Smith, C. J.: 2003, 'An overview of APSIM, a model designed for farming systems simulation', Eur. J. Agron. 18, 267-288. Kleeman, R. and Power, S. B.: 2000, 'Modulation of ENSO variability on decadal and longer timescales', in Diaz, H. F. and Markgraf, V. (eds. ), El Nino and the Southern Oscillation: Multi-scale Variability and Its Impacts on Natural Ecosystems and Society, Cambridge University Press, Cambridge, UK, pp. 413-441. Kumar, K. K., Rajagopalan, B., and Cane, M. A.: 1999, 'On the weakening relationship between the Indian Monsoon and ENSO', Science 284, 2156-2159. Lamb, P. J.: 1981, 'Do we know what we should be trying to forecast - Climatically? ', Bull. Am. Meteorol. Soc. 62, 1000-1001. Lindesay, J. A.: 1988, 'South African Rainfall, the Southern Oscillation and a Southern Hemisphere Semi-annual Cycle', J. Climatol. 8, 17-30. Madden, R. A. and Julian, P. R.: 1972, 'Description of global-scale circulation cells in the tropics with a 40-50 day period', J. Atmos. Sci. 29, 1109-1123. September 1999, Geneva, Switzerland, International START Secretariat, Washington, DC, USA, pp. 287-293. Mantua, N. J., Hare, S. R., Zhang, Y., Wallace, J. M., and Francis, R. C.: 1997, 'A Pacific Interdecadal Climate Oscillation with Impacts on Salmon Production', Bull. Am. Meteorol. Soc. 78,1069-1079. Meehl, G. A., Lukas, R., Kiladis, G. N., Weickmann, K. M., Matthews, A. J., and Wheeler, M.: 2001, 'A conceptual framework for time and space scale interactions in the climate system', Clim. Dyn. 17, 753-775. Meinke, H.: 1996, Improving Wheat Simulation Capabilities in Australia from a Cropping Systems Perspective, PhD Thesis, Wageningen Agricultural University, CIP, Data Koninklijke Bibliotheek, Den Haag, p. 270. Meinke, H. and Hammer, G. L.: 2000, 'Experiences in agricultural applications of climate predictions: Australasia', in Proceedings of the International Forum on Climate Prediction, Agriculture and Development, International Research Institute for Climate Prediction, Palisades, New York, pp. 52-58. Meinke, H. and Hammer, G. L.: 1995, 'Climatic risk to peanut production: A simulation study for northern Australia', Aust. J. Exp. Agric. 35, 777-780. Meinke, H. and Hochman, Z.: 2000, 'Using seasonal climate forecasts to manage dryland crops in northern Australia', in Hammer, G. L., Nicholls, N. and Mitchell, C. (eds. ), Applications of Seasonal Climate Forecasting in Agriculture and Natural Ecosystems: The Australian Experience, Kluwer Academic Publishers, Dordrecht, The Netherlands, pp. 149-165. Meinke, H. and Stone, R.: 1992, 'Impact of skill in climate forecasting on tactical management of dryland sunflower - A simulation study', in Proceedings of the 13th International Sunflower Conference, vol. 1, Pisa, Italy, pp. 253-259. Meinke, H., Baethgen, W. E., Carberry, P. S., Donatelli, M., Hammer, G. L., Selvaraju, R., and Stockle, C. O.: 2001, 'Increasing profits and reducing risks in crop production using participatory systems simulation approaches', Agric. Syst. 70, 493-513. Meinke, H., deVoil, P., Hammer, G. L., Power, S., Allan, R., Stone, R. C., Folland, C. and Potgieter, A.: 2005, 'Rainfall variability at decadal and longer time scales: Signal or noise?' Journal of Climate 18, 89-96. Meinke, H., Wright, W., Hayman, P., and Stephens, D.: 2003, 'Managing cropping systems in variable climates', in Pratley, J. (ed. ), Principles of Field Crop Production, 4th edn., Oxford University Press, Melbourne, Australia, pp. 26-77. Messina, C. D., Hansen, J. W., and Hall, A. J.: 1999, 'Land allocation conditioned on ENSO phases in the Pampas of Argentina', Agric. Syst. 60, 197-212. Mjelde, J. W., Sonka, S. T., Dixon, B. L., and Lamb, P. J.: 1988, 'Valuing forecast characteristics in a dynamic agricultural production system', Am. J. Agric. Econ. 70, 674-684. Moura, A. D. and Shukla, J.: 1981, 'On the dynamics of droughts in North East Brazil: Observations, theory and numerical experiments with a general circulation model', J. Atmos. Sci. 38, 2653-2675. Moss, R. H. and Schneider, S. H.: 2000, 'Uncertainties in the IPCC TAR: Recommendations to lead authors for more consistent assessment and reporting', in Pachauri, R., Taniguchi, T. and Tanaka, K. (eds. ), Guidance Papers on the Cross Cutting Issues of the Third Assessment Report of the IPCC, World Meteorological Organisation, Geneva, Switzerland, pp. 3351. Muchow, R. C. and Bellamy, J. A. (eds. ): 1991, in Proceedings of the International Symposium on Climatic Risk in Crop Production: Models and Management for the Semiarid Tropics and Subtropics, 2-6 July 1990, Brisbane, Australia, 548 p.
Murphy, A. H.: 1993, 'What is a good forecast? An essay on the nature of goodness in weather forecasting', Weather Forecast. 8, 281-293. Murphy, A. H.: 1994, 'Assessing the economic value of weather forecasts: An overview of methods, results, and issues', Meteorol. Appl. 1, 69-73. Nelson, R. A., Dimes, J. P., Silburn, D. M., Paningbatan, E. P., and Cramb, R. A.: 1998, 'Erosion/productivity modelling of maize farming in the Philippine uplands. Part II: Simulation of alternative farming methods',Agric. Syst. 58, 147-163. Nelson, R. A., Holzworth, D. P., Hammer, G. L., and Hayman, P. T.: 2002, 'Infusing the use of seasonal climate forecasting into crop management practice in North East Australia using discussion support software', Agric. Syst. 74, 393-414. Nicholls, N.: 2000, 'Opportunities to improve the use of seasonal climate forecasts' in Hammer, G. L., Nicholls, N. and Mitchell, C. (eds. ), Applications of Seasonal Climate Forecasting in Agriculture and Natural Ecosystems: The Australian Experience, Kluwer Academic Publishers, Dordrecht, The Netherlands, pp. 309-327. Nicholls, N. and Wong, K. K.: 1991, 'Dependence of rainfall variability on mean latitude and the Southern Oscillation', J. Clim. 3, 163-170. Oreskes, N., Shrader-Frechette, K., and Belitz, K.: 1994, 'Verification, validation, and confirmation of numerical models in the earth sciences', Science 263, 641-646. Palmer, T. N. and Ratsanen, J.: 2002, 'Quantifying the risk of extreme seasonal precipitation events in a changing climate', Nature 415, 512-514. Pannell, D. J., Malcolm, B., and Kingwell, R. S.: 2000, 'Are we risking too much? Perspectives on risk in farm modelling', Agric. Econ. 23, 69-78. Peng, Y. and Reggia, J. A.: 1990, in Loveland, D. W. (ed. ), Abduction Inference Models for Diagnostic Problem-solving. Springer Series: Symbolic Computation - Artificial Intelligence, SpringerVerlang, New York, 284 pp. Phillips, J., Rajagopalan, B., Cane, M., and Rosenzweig, C.: 1999, 'The role of ENSO in determining climate and maize yield variability in the U.S. cornbelt', Int. J. Climatol. 19, 877-888. Phillips, J. G., Deane, D., Unganai, L., and Chimeli, A.: 2002, 'Implications of farm-level response to seasonal climate forecasts for aggregate grain production in Zimbabwe', Agric. Syst. 74,351-369. Pittock, A. B.: 1975, 'Climatic change and the patterns of variation in Australian Rainfall', Search 6, 11-12, 498-504. Podesta, G., Letson, D., Messina, C., Rocye, F., Ferreyra, A., Jones, J., Llovet, I., Hansen, J., Grondona, M., and O'Brien, J.: 2002, 'Use of ENSO-related climate information in agricultural decision making in Argentina: A pilot experience', Agric. Syst. 74, 371-392. Potgieter, A. B., Hammer, G. L., and Butler, D.: 2002, 'Spatial and temporal patterns in Australian wheat yield and their relationship with ENSO', Aust. J. Agric. Res. 53, 77-89. Potgieter, A. B., Everingham, Y. L. and Hammer, G. L.: 2003, 'On measuring quality of a commodity forecast from a system that incorporates seasonal climate forecasts', Int. J. Climatol. 23, 11951210. Power, S. B., Casey, T., Folland, C., Colman, A., and Mehta, V.: 1999, 'Inter-decadal modulation of the impact of ENSO on Australia', Clim. Dyn. 15, 319-324. Pulwarty, R. S. and Redmond, K. T.: 1997, 'Climate and salmon restoration in the Columbia River basin: The role and usability of seasonal forecasts', Bull. Am. Meteorol. Soc. 78, 381-397. Reyenga, P. J., Howden, S. M., Meinke, H., and Hall, W. B.: 2001, 'Global change impacts on wheat production along an environmental gradient in south Australia', Environ. Int. 27, 195-200. Reyenga, R. J., Howden, S. M., Meinke, H., and McKeon, G. M.: 1999, 'Modelling global change impacts on wheat cropping in south-east Queensland, Australia', Environ. Software 14, 297306. Ruben, R., Kruseman, G., Kuyvenhoven, A., and Brons, J.: 2000, 'Climate variability, risk-coping and agrarian policies: Farm households' supply response under variable rainfall conditions', Report for NOP Project 'Impact of Climate change on drylands (ICCD)', Wageningen, October 2000. Salinger, M. J., Stigter, C. J., and Das, H. P.: 2000, 'Agrometeorological adaptation strategies to increasing climate variability and climate change', Agric. Forest Meteorol. 103, 167- 184. Sivakumar, M. V. K., Gommes, R., and Baier, W.: 2000, 'Agrometeorology and sustainable agriculture', Agric. Forest Meteorol. 103, 11-26. Sivakumar, M. V. K.: (ed. ), 2000, 'Climate prediction and agriculture', in Proceedings of the START/WMO International Workshop held in Geneva, 27-29 September 1999, Switzerland, International START Secretariat, Washington, DC, USA, 322 p.
Stephens, D. J.: 1998, 'Objective criteria for estimating the severity of drought in the wheat cropping areas of Australia', Agric. Syst. 57, 315-332. Stockle, C. O., Donatelli, M., and Nelson, R.: 2003, 'CropSyst, a cropping systems simulation model', Eur. J. Agron. 18, 289-307. Stone, R. C. and Meinke, H.: 1999, 'Predictions of Australian wheat yields in 1997 and 1998 using climate forecast systems derived from Pacific Ocean indicators', in Proceedings of the Twenty-Third Annual Climate Diagnostics and Prediction Workshop, 26-30 October 1998, Miami, Florida, National Oceanic and Atmospheric Administration, US Department of Commerce, Washington, DC, pp. 66-70. Stone, R. C., Hammer, G. L., and Marcussen, T.: 1996, 'Prediction of global rainfall probabilities using phases of the Southern Oscillation Index', Nature 384, 252-255. Stone, R. C., Muchow, R. C., and Meinke, H.: 2000a: 'Effective application of seasonal climate forecasting in agriculture: The Australian experience' in Proceedings of the 'The Noah Paradigm' Conference on the Application of Seasonal Climate Forecasting for Agriculture, July 2000, New Zealand Institute of Agricultural Science, Palmerston North. Stone, R. C., Smith, I., and McIntosh, P.: 2000b, 'Statistical methods for deriving seasonal climate forecasts from GCMs', in Hammer, G. L., Nicholls, N. and Mitchell, C. (eds. ), Applications of Seasonal Climate Forecasting in Agriculture and Natural ecosystems: The Australian Experience, Kluwer Academic Publishers, Dordrecht, The Netherlands, pp. 135-147. Strong, W. M., Dalal, R. C., Weston, E. J., Cooper, J. E., Lehane, K. J., King, A. J., and Chicken, C. J.,: 1996, 'Sustaining productivity of a Vertisol at Warra, Queensland, with fertilisers, no-tillage or legumes. 2. Long-term fertiliser nitrogen needs to enhance wheat yields and grain protein', Aust. J. Exp. Agric. 36, 665-674. Storch, H. V. and Zwiers, F. W.: 1999, Statistical Analysis in Climate Research, CU Press, Cambridge, UK, 484 p.
Timmermann, A., Oberhuber, J., Bacher, A., Esch, M., Latif, M., and Roeckner, E.: 1999, 'Increased El Niüo frequency in a climate model forced by future greenhouse warming', Nature 398, 694-697. Ward, M. N. and Folland, C. K.: 1991, 'Prediction of seasonal rainfall in the north Nordeste of Brazil using eigenvectors of sea-surface temperature', Int. J. Climatol. 11, 711-743. Weiss, A., VanCrowder, L., andBernardi, M.: 2000, 'Communicating agrometeorologicalinformation to farming communities', Agric. Forest Meteorol. 103, 185-196. Wheeler, M. andWeickmann, K. M.: 2001, 'Real-time monitoring and prediction of models of coherent synoptic to intraseasonal tropical variability', Monthly Weather Review 129, 2677-2694. White, B.: 2000a, 'The importance of climate variability and seasonal forecasting to the Australian economy', in Hammer, G. L., Nicholls, N. and Mitchell, C. (eds. ), Applications of Seasonal Climate Forecasting in Agriculture and Natural Ecosystems: The Australian Experience, Kluwer Academic Publishers, Dordrecht, The Netherlands, pp. 1-22. White, W. B.: 2000b, 'Influence of the Antarctic Circumpolar Wave on Australian Precipitation from 1958 to 1997', J. Clim. 13, 2125-2141. Zhang, Y., Wallace, J. M., and Battisti, D. S.: 1997, 'ENSO-like Variability: 1900-93' J. Clim. 10, 1004-1020.